It couldn't have taken a genius to foresee that the so-called 'domestic violence gateway' to legal aid introduced in April 2013 when legal aid was abolished for most private law family matters by the Legal Aid, Sentencing and Punishment of Offenders Act 2012 ('LASPO') might lead to the system being abused by those in need of legal aid. It would seem that the statistics in respect of non-molestation orders ('NMOs') indicate that this has been the case. This post was prompted by an email I received from a husband who was on the receiving end of what he considered to be an unmerited NMO, obtained using false allegations. He has since obtained freedom of information data which indicates not just that the number of NMOs granted by the courts has increased nationally, but also that there have been particularly large increases in certain courts. I will come to his data in a moment, but I will begin with the latest family court statistics which are, of course, freely available. The graph above was created from those statistics. It hardly needs any comment, showing a clear and sustained increase in the number of NMOs granted since April 2013. Prior to that, there were roughly 5,000 NMOs made per quarter, whereas now there are more like 6,000, an increase of about 20%. Now I'm not a statistician, but I would say that that was 'significant'. Turning to the FOI data, the startling figures relate to the above-mentioned increase in the number of NMOs made by certain courts, which are considerably higher than that 20% figure. For example, NMOs from 2011 to 2014 went up by 110% at Horsham Family Court in Sussex, and Birmingham Family Court saw a huge 375.4% increase. Dare I say it, but could this be due to the 'tactics' of local legal aid firms, eager for work? I have also been informed that the matter of increased NMOs has been raised with Shailesh Vara MP, Parliamentary Under-Secretary of State for Justice. He admits there has been an increase in NMOs since the changes to civil legal aid, but is confident that court procedures for granting of NMOs are sufficiently robust that they are not being obtained with the sole aim of getting legal aid. I've always felt that one of the problems with NMOs is that judges are just ordering respondents not to do what they shouldn't be doing anyway - as they are not therefore infringing upon the respondent's liberty, they find it easy to make the orders 'to be on the safe side'. However, an NMO does have other implications. For example, as Sir James Munby said in a speech to the Families Need Fathers AGM last year, "a wrongly granted without notice order sets the tone of proceedings thereafter". Sir James also stated that if "there is in fact a significant increase that would concern me and I would investigate it". Perhaps the time has come for him to do that. Silencing your enemies - A worrying look at the government's record on justice. When a child is a fugitive from justice - As in Re G (A Child). Footballer wins child maintenance appeal - Or “Courts should follow child maintenance formula”. Mostyn J's decision in Re TW & TM (Minors). A callous and calculating attorney - The appalling Court of Protection case Re SF. A quick heads-up for some research published by the Department for Work and Pensions today exploring the attitudes and behaviours of self-employed child maintenance paying parents towards the payment of child maintenance. a perception that paying parents were ‘treated as criminals’ and assumed to be at fault, even when they were willing to pay. Many parents thus felt morally justified in ‘fighting back’ with non-compliance. Most of which is pretty predictable. Also predictable was the finding that respondents did not think that the application fee under the new (CMS) system was high enough to deter many receiving parents! Just a quick post to highlight (literally, as above) something I've not seen before in the heading of a reported judgment. 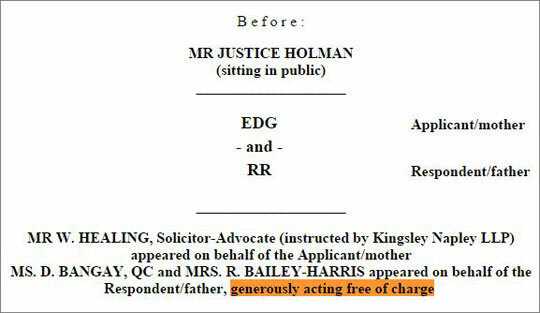 In EDG v RR the heading mentioned not just that the father's counsel Deborah Bangay QC and Rebecca Bailey-Harris were acting for him pro bono, but added the adverb generously, no doubt at the suggestion of Mr Justice Holman, who used that word in his judgment. Deserved recognition for lawyers acting pro bono. Of course, Ms Bangay and Mrs Bailey-Harris are far from the only family lawyers giving their time free of charge, particularly in these post-legal aid days. Hopefully, all the others will receive similar recognition. 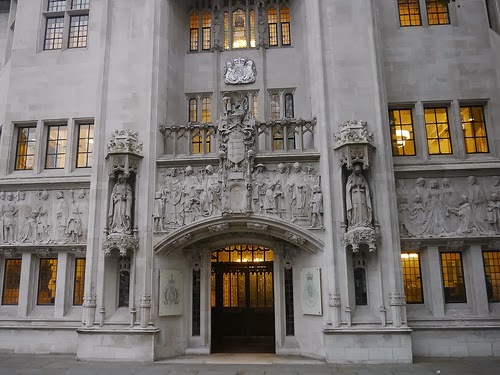 The Court of Appeal has allowed an appeal in a case over whether a woman was being deprived of her liberty in her own home, and in the process criticised a High Court judge who maintains that the majority decision in the Supreme Court’s Cheshire West ruling is wrong. Full story: Local Government Lawyer. See also the law report (KW & Ors v Rochdale MBC) below. The number of civil partnerships created dropped from 5,646 in 2013 to 1,683 in 2014, according to the latest bulletin from the Office of National Statistics.Full story: Family Law Hub. More than 2,000 families being helped through life-changing government fund worth over £7 million in the past 6 months. Full story: Department for Education. Cross-applications by journalist seeking permission to report care proceedings and by local authority seeking a reporting restriction order. Full report: Bailii. Application by wife under section 27 of the Matrimonial Causes Act 1973. Full report: Bailii. Appeal in case concerning deprivation of liberty of 52 year old severely mentally incapacitated woman. Full report: Bailii. Applications by child and mother within care proceedings for damages relating to unlawful accommodation of child by local authority. Full report: Bailii. A poisonous feud - The Court of Protection case Aidiniantz v Riley. A family divided by national borders - As in the case GM v DB. When a judge disagrees with precedent - As in KW & Ors v Rochdale Metropolitan Borough Council. In a landmark judgment, the Supreme Court allowed the wives' appeals. Full story: Family Law. See also judgments below. In September 2015, Cafcass received a total of 3,094 new private law cases. This is a 9% increase on September 2014 levels. Full story: Cafcass. In September 2015, Cafcass received a total of 979 care applications. This figure represents a 7% increase compared to those received in September 2014. Full story: Cafcass. Richard Bacon MP has proposed an amendment to family law which would enable couples to say there was no fault for the break-up. Full story: The Telegraph. Children benefiting from effective family-based child maintenance arrangements after contacting the Child Maintenance Options service. 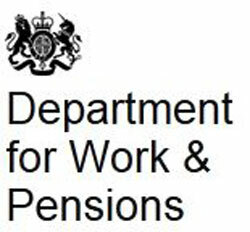 Full story: Department for Work and Pensions. Appeal by wife against order allowing appeal against order setting aside consent order on grounds of non-disclosure by husband. Appeal allowed. Full report: Bailii. Appeal by wife considering the impact of fraudulent non-disclosure on a financial settlement agreed between a husband and wife on divorce, especially one embodied in a court order. Full report: Bailii. Appeal by father against order for the return of the children to Australia. Appeal allowed. Full report: Bailii. Judgment in long-running proceedings concerning two children regarding, inter alia, issue of contact. Full report: Bailii. Case concerning the withdrawal of life support from two very young children. Full report: Bailii. Stopping domestic violence is a wonderful idea, but… - It simply will never happen. Recusals and manipulating judges - Not that there was any attempt at manipulation in Mackay v Mackay. How times have changed: divorce 1855 style - A gallant Captain protecting the Empire gets a divorce. A few thoughts on the no fault divorce bill - As introduced on Tuesday by David Bacon MP. A landmark Supreme Court judgement made today, 14 October, could lead to the re-opening of thousands of divorce settlements as family court-imposed settlements that have been based on wrong financial information can be set aside. “In the adversarial nature of the ‘traditional’ way of managing divorce, as they’re egged on by solicitors to achieve a ‘victory’ over their ex, it can’t be a surprise that people are tempted to try to hide assets. “The wish to score a notable financial success over the ex they've learned to loathe is what drives so many people as they are lured towards a lawyer’s promise of victory. “Today’s judgement reinforces, in stark financial terms, that there really are no winners in divorce. “People who embrace family mediation as a way to make settlements over children, property and money, find themselves in the right mindset to avoid trying to hide money away, and not just because they go through the legally-required inventory of assets in a mediation meeting together. "The success of Mrs Sharland and Mrs Gohil today is a clear indicator that anything less than full and frank disclosure of assets in divorce cases will not be tolerated by the courts, where this has an outcome on the order that the court would otherwise have made. This has significant implications for other cases where assets are suspected of having been concealed, and could see many other recently finalised cases being reopened. “It is arguably in these cases, rather than the dealings of the multi-millionaire Sharlands, that the importance of this judgment lies. A few extra million pounds may be felt objectively to make little difference to Mrs Sharland's standard of living, but access to a share in concealed assets could make a huge difference in smaller money cases that are heard by judges every day. This is even more important where, on the face of it, the assets available are not enough to meet the parties’ needs. The Supreme Court has today handed down its decisions in the related appeals of Sharland and Gohil. ii. a consent order made following such agreement? iii. Is it different from, or the same as, it would be in other civil proceedings? Following her divorce, the appellant wife brought a claim for financial provision against the respondent husband. The claim came on for hearing in the High Court. Both the husband and wife gave evidence. During the course of the hearing, the parties were able to reach agreement and the hearing was brought to an end. The terms of a draft order were settled and approved by the judge. The wife later discovered that, contrary to what he had said in evidence, the husband had been holding discussions with various investment bankers as part of active preparations for an initial public offering of a successful company. The husband owned about two-thirds of the shares in that company. The wife’s solicitors made an urgent application to the court not to seal the order. The wife made an application to resume the hearing of her claim for financial provision on the grounds that her agreement to the proposed order had been obtained by fraudulent non-disclosure on the part of the husband. Her application was dismissed by the judge, the judge finding that she would not have secured a substantially different award had the true position been known. The wife’s appeal was dismissed in the Court of Appeal. The wife now appeals to the Supreme Court. The correct approach to a party’s application to set aside a final order made in ancillary relief proceedings on the basis that there has been material non-disclosure by the other party. In 2004 the appellant wife’s claim for financial relief from the respondent husband was concluded by way of a consent order. The respondent was subsequently convicted of money laundering. The appellant applied to set aside the 2004 order on the basis that at the time it was made he failed to disclose the true extent of his financial assets. The Supreme Court unanimously allowed both appeals. In the case of Sharland it held that the husband's non-disclosure vitiated the wife's consent and the case was therefore sent back for reconsideration. In Gohil the order of Moylan J setting aside the 2004 order was reinstated. A press summary of the Sharland judgment is available here, and the full judgment here. A press summary of the Gohil judgment is available here, and the full judgment here. “This guidance is long awaited and badly needed. For many years, CLCC has worked with children who have been assessed to be adults or to be older than they actually are. Each year, at least one quarter of all unaccompanied children claiming asylum in the UK have their ages disputed, because they arrive with no documents, or with false papers. Children who arrive alone in the UK are regularly disbelieved about how old they are and can spend many years without access to education or appropriate support, or end up in unsupervised accommodation with adults or even in adult immigration detention centres or prisons. The only way to challenge this treatment is to pursue costly and protracted legal proceedings. The Age Assessment Strategic Oversight group included representatives from the Home Office, Department for Education, the Department of Health, ADCS, the Office of the Children’s Commissioner, individual local authorities, UNHCR, National Policing, Royal College of Paediatrics and Child Health, Refugee Council and the Refugee Children’s Consortium. Coram Children’s Legal Centre represented the Refugee Children’s Consortium on this group. In 2013, a report published by Coram Children’s Legal Centre highlighted just how long, costly and damaging to children the age assessment process is. Cases can take from months to over four years to resolve, with many children denied access to support, accommodation and appropriate education during that time. These cases are not only harmful for children, but can be incredible costly for local authorities if they end up in court. The report emphasised that where an assessment is necessary, it must be conducted in a fair and lawful manner, with the views of independent professionals and carers feeding into an holistic, multi-agency assessment process. 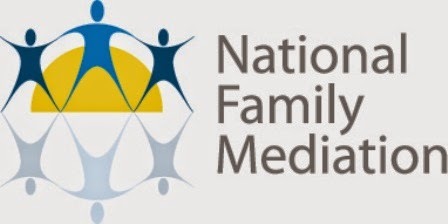 As part of its drive to ensure high standards amongst family mediators and to reflect the pivotal role of mediation in the family justice system, the Family Mediation Council (FMC) is pleased to announce that the work of the Family Mediation Standards Board (FMSB) is now under way and the central registration of practising mediators established. • The FMSB is an independent standards and regulatory body under the umbrella of the FMC and is chaired by Robert Creighton, a retired NHS Chief Executive and former civil servant. The Board is composed of three family mediators and three independents. • At the beginning of 2015 the FMC introduced a new standards framework with a single professional designation, FMCA (Family Mediation Council Accredited Family Mediator) and the FMSB is implementing self-regulation within that Framework. • All practising family mediators – both those who are fully accredited and those working towards accreditation – are now able to register as professionals via the FMSB and be placed on the new FMC Register. This will be available to the public and practitioners alike via the FMC website from November 2015. The FMC Register will enable members of the public to seek a family mediator practising to high standards whilst also providing national networking opportunities for family mediation practitioners. 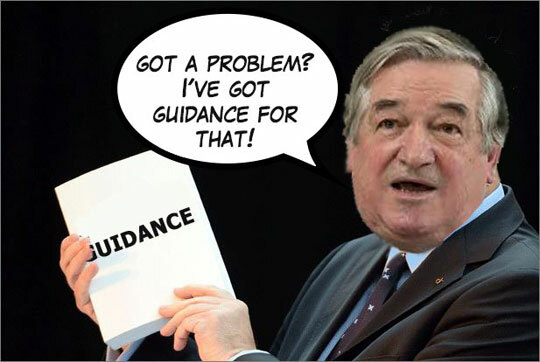 Guidance issued by Sir James Munby President of the Family Division on 8 October 2015. Full story: Courts and Tribunals Judiciary. Lawyers believe it is unlikely the adoption of Karrissa Cox and Richard Carter's child will be overturned by a court as such rulings are usually final. Full story: The Independent. We are approaching the anniversary of the very first divorce centres - how is the new regime working? Full story: Family Law. Judgement explaining reasons for judge recusing himself in financial remedies case. Full report: Bailii. Appeal by parents of 3 boys against an order dismissing their application for the discharge of care orders made in relation to the children. Appeal allowed. 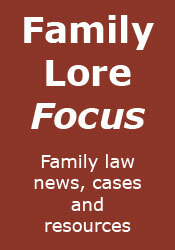 Full report: Family Law Week. Appeal by father against refusal to commit mother for breach of order requiring her to return children to Spain. Appeal dismissed. Full report: Bailii. The system will collapse for want of a soundbite - Thoughts on live tweeting and the post-LASPO world. We are all entitled to our day in court - More thoughts on the issue of publicity. Production line divorce - Thoughts on the new divorce centres. Advice clinics are all very worthy, but it just ain’t the same - More thoughts about dealing with the effects of LASPO. A brief summary of the Court of Appeal judgment in J (Children)  EWCA Civ 1019, handed down today. This is, hopefully, the final judgment in the long-running child abduction saga of the mother who brought the children to Wales, failed to comply with an order to return them to Spain, and then, as widely reported in the newspapers at the time, absconded with the children before the police could enforce a collection order. To cut a long story short (if you want the details, see the earlier judgments, referred to in this judgment), the case finally revolved around two of the children, now aged 17 and 15, who remained with the mother and refused to return to Spain. In August 2013 the President ordered the mother to return the children. This did not happen, and the father applied for the mother's committal. The committal application went before the President, who gave judgment on the 9th of July 2014. He refused the application because, in his judgment, the father was required to prove to the criminal standard of proof that the mother could have ensured compliance with the orders and he had not achieved this. The father appealed to the Court of Appeal. "As I shall now explain, my conclusion that the appeal should be dismissed emanates from the particular circumstances of the case and I have not therefore felt myself compelled to determine the rights and wrongs of [counsel for the father's] arguments. In my judgment, it is necessary to look at the making of the orders against the mother in August 2013 and the father's application for the committal of the mother for contempt as a whole. This was not a case in which the possibility of compliance with the proposed order was investigated before the order was made, in the sort of depth that it might have been in a civil case, or even perhaps in another type of family case. The President decided to exercise his discretion by making orders despite the acknowledged risk that the children would frustrate them. His recognition of the potential impossibility of compliance is clear not only from what he said in his August 2013 judgment but also from his inclusion in the order of alternative dates for the return of the children ... It follows that, in making the order in the face of the risk that it would be impossible for the mother to fulfil it, he would have proceeded upon the basis that no finding of contempt could be made against her unless it was established to the criminal standard of proof that it was within her power to do what was required." "When it came, later, in the context of the contempt application, to a closer examination of whether fulfilment of the orders was possible, the President found that [the child] was clear, settled and determined in her long-held views and found that the father had fallen "well short" of establishing to the criminal standard that the mother could have achieved the return of the children to Spain"
Lord Justice Floyd and Lord Justice Sullivan gave concurring judgments. Statistics on looked-after children at both national and local authority levels for the financial year 2014 to 2015. Full story: Department for Education. Permission given to appeal to resolve the ‘unhappy divergence of judicial approach’. Full story: Family Law Week - see Appleton & Anor v News Group Newspapers Ltd & Anor, below. A Court of Protection judge has ruled that it would be unlawful for an NHS trust to carry out life-saving treatment against the patient’s opposition. Full story: Local Government Lawyer - see Wye Valley NHS Trust v B, below. Application by husband for interim order for sale of matrimonial home, in course of financial remedy proceedings. Full report: Bailii. Private law proceedings concerning where child should go to school and how much time he should spend with each parent. Full report: Bailii. Judgment considering whether it is lawful for the doctors treating a 73-year-old gentleman with a severely infected leg, to amputate his foot against his wishes in order to save his life. Full report: Bailii. Appeal by father against order for assessment of child, in long-running contact dispute. Appeal dismissed. Full report: Bailii. Application by expert for disclosure of documents from care proceedings. Application dismissed. Full report: Bailii. Judgment concerning continuation of reporting restriction order in financial remedy proceedings. Full report: Bailii. When an unmarried father dies before his child’s birth is registered - As occurred in the sad case Re Pook (Declaration of Parentage). What has and has not changed since the legal aid cuts - As indicated by the Family Court Statistics Quarterly. A child arrangements application devoid of merit - As in SA v BO. There are only losers in contested children disputes - As demonstrated by Re Q (A Child). As they say, have a good weekend.